The one thing that clearly distinguishes Atlanta’s film scene from Los Angeles or New York is that it’s new. Newness has some major advantages, but mainly, at least for newcomers, is that the deep seated cliques that keep so many good film makers from getting their foot in the door have not been formed. People are literally falling over themselves in bars, clubs, Meetups and Starbucks trying to clique-up. That is, to form loose associations of people to get film production done. Of course you have the formal organizations like Tyler Perry and Pinewood Studios, but the possibilities for people just getting into the market are amazing. People are actually earning a living as freelancers. I recently went to a Meetup for people wanting to get involved in film and met with over 100 men and women. There was enough talent, money, equipment and skill in the room to shoot a box office hit. But the question that kept coming up is how do newcomers position themselves to work in the Atlanta Film Industry. Linda Burns has years of experience making movies here in Atlanta and across the nation. 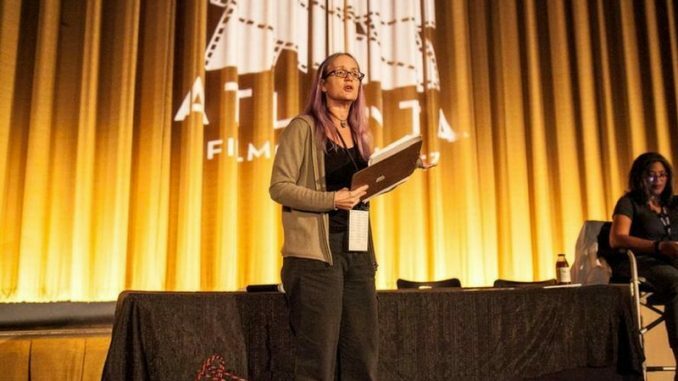 Burns is an instructor for the Atlanta Film Society and also runs the PA Academy. She spoke with “City Lights” host Lois Reitzes about how people can get their start in the industry and why education is imperative for Georgia’s growing film industry.